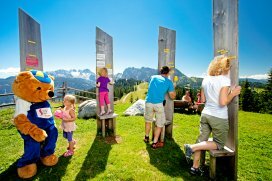 our friendly, family-run hotel is located next to the entrance to Russbach and near the Hornbahn cable car, which takes you to Hornspitze peak at 1,450 meters above sea level. 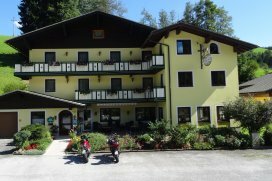 It is an enjoyable quiet location surrounded by beautiful mountains. 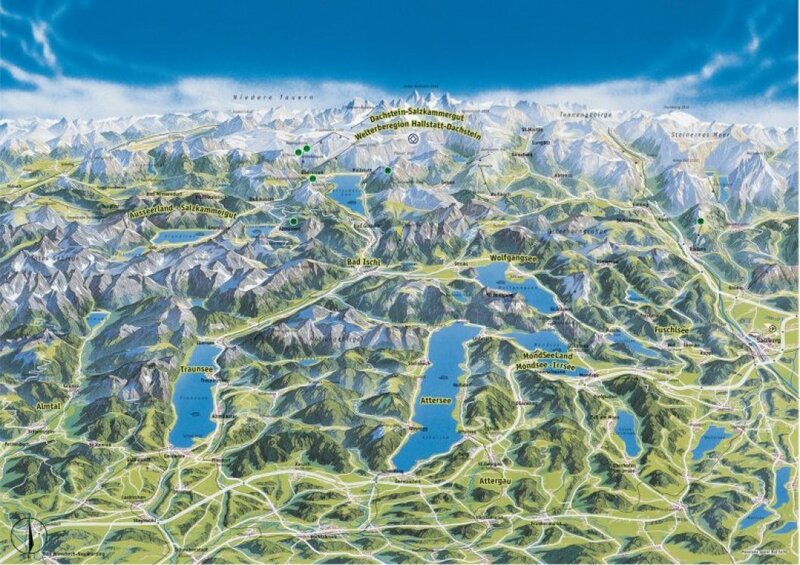 The center of Russbach is within 10 minutes walking distance. Our house has double rooms, triple rooms, family rooms, single rooms and apartments. The rooms are equipped with showers, WCs, balconies, cable TVs and telephones. In front of our house there are plenty of parking lots. Let yourself be pampered in our house. In addition to our sauna and solarium, in summer you can use our outdoor pool with sunbathing area. 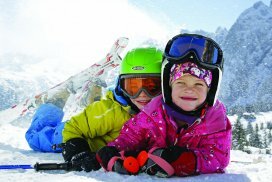 For your kids we have a playroom - and in winter, your little ones can use our "Sparrow's Nest" right at the ski lift. Billiard as well as table tennis is also available. In the evening, we’ll spoil you with half-board featuring a variety of tasty Austrian specialties and home cooking. Music evenings (some with live music) are also offered to our guests. We wish you a pleasant stay in our house and are pleased to welcome you. Enjoy our image gallery and join us on a virtual tour of our country hotel and its beautiful surroundings.